On Thursday, 11 October 2018, Pedro Santos is talking about the topic “On the Verge of 3D-mass Digitisation” at the DigiDoc Conference (Day 1). The presentation is at 11.15am – 11.45am, Session 2. 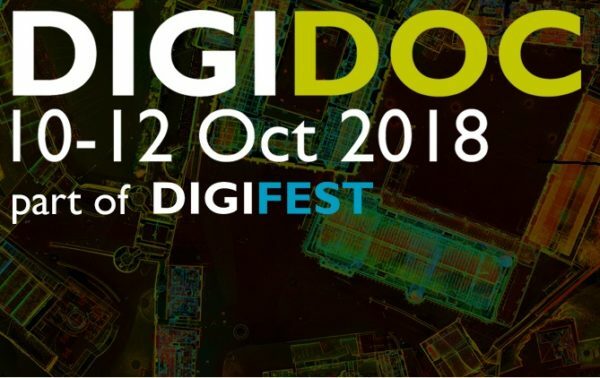 DigiFest 2018 iwill be taking place from Monday 8 – Saturday 20 October 2018, in The Engine Shed, Stirling. The event, which is organised by Historic Environment Scotland, is an exciting two-week festival showcasing the latest in digital innovation. The workshops, talks and activities show cutting edge digital technology from across the globe, from virtual worlds to 3D experiences. Part of the DigiFest are the two-day DigiDoc conference and the DigiDoc Research & Innovation Day.